Ultra light fuel bottle of seamless extruded aluminium and lacquered inside to give the bottle better protection. The connection threads are standard and suitable for Nova & Nova Plus as well as most common pump stoves that burn liquid fuels. 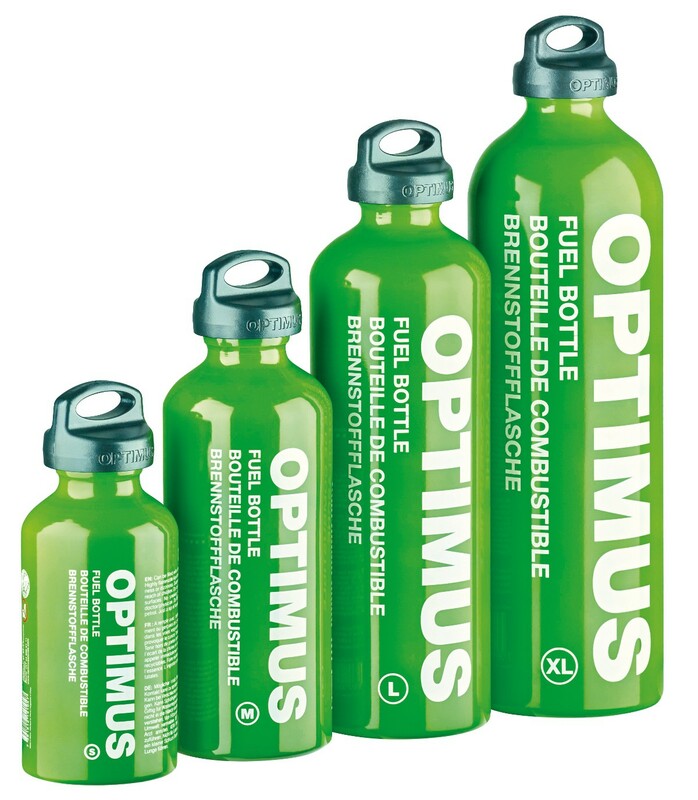 Optimus fuel bottles are suitable for transporting and pressurizing all kinds of liquid fuel. Thanks to a unique hardening process, these bottles are strong and durable, yet surprisingly light weight. With child-safe-cap. Available in three sizes: S 0.4 L, M 0.6 L, L 1.0 L and XL 1,5 L.
Please note the maximum fuel capacity of each size. For correct stove function, bottles need a bit of space for pressurized air.